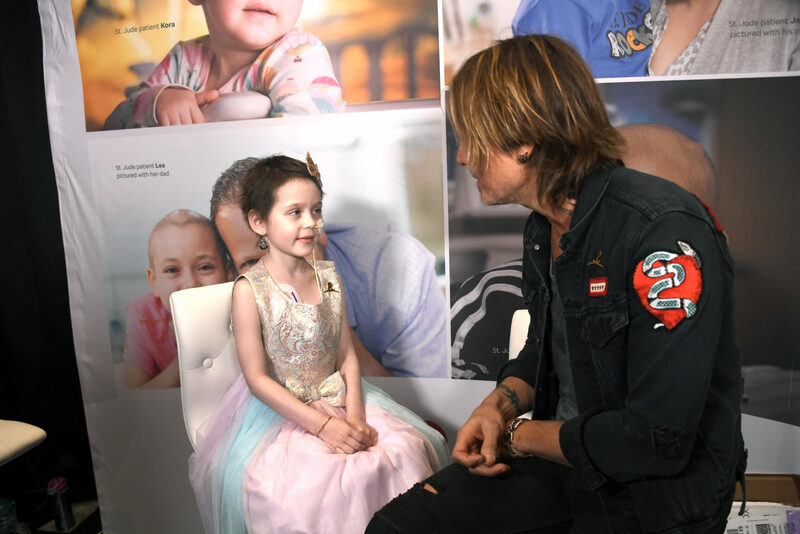 Keith Urban has warmed the hearts of many across the world by making one sick young girl’s dream come true. The 51-year-old, who is married to actress Nicole Kidman, was spotted greeting a sick fan backstage at the Academy of Music Awards on Sunday. The New Zealand-born singer had a lovely chat with the lucky girl, who is obviously a big fan of Keith’s. For the occasion, the singer rocked a double denim ensemble, including fitted jeans and a jacket emblazoned with badges. Both Nicole and Keith are known for their caring nature. Back in October, the Aussie singer made a special trip to Mercy Children’s Hospital in Ohio to visit one of his biggest fans. Patient Marissa English and her family were left in absolute awe after Keith stopped off to say hello and sing a beautiful tune. Keith was praised by fans who described him as “an amazing man” with a big heart. “I adore Kieth Urban [sic]. He is an amazing human. The kindness and sincerity of his soul shines through even when performing live from the big stage. It’s so clear he really cares,” one person commented on the post. “Made me cry. Such a great thing for Keith to make this young lady feel important,” another wrote. Are you a fan of Keith Urban? Have you ever been lucky enough to meet the star?